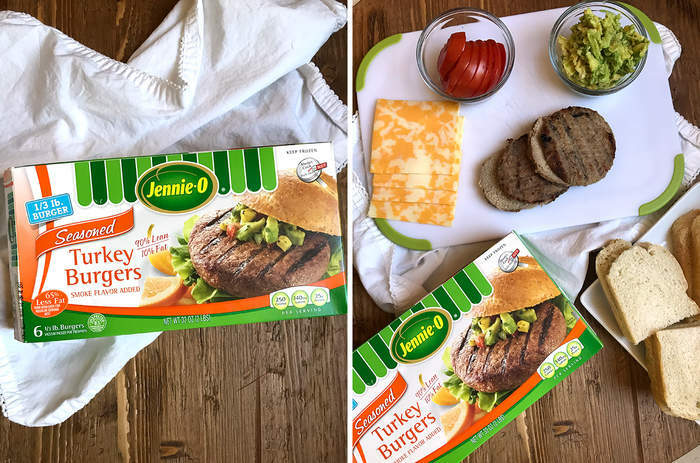 Turkey Burger Patty Melts combine delicious Seasoned Jennie-O turkey burgers with french bread, mashed avocados, tomato slices, and cheddar-jack cheese. 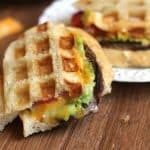 All pressed in a waffle maker, giving this sandwich a wonderful grilled taste and lovely presentation! Whenever we grill, I like to throw on a bunch of extra meat, so I can make other meals during the week without firing up the grill every day. It’s a huge time saver, especially when our boys are home in the summer and eating 24/7. was a new trick. And a pretty cool one at that! I really love the look, and no, those are NOT waffles. I used regular french bread – actually I used my homemade french bread (the MOST POPULAR recipe on my blog, thanks to my momma, Norma Jean, and her fantastic, easy recipe). For these patty melts, I grilled up some Jennie-O Seasoned Turkey Burgers. They are super easy, healthy, and delicious. It’s so handy having some burgers that you keep in the freezer, and just throw on the grill (indoor grills work too) at the last minute. You keep these frozen until cooking, so they make a perfect weeknight meal for all you busy moms and dads. Some other tasty Jennie-O Turkey recipes I’ve recently made are the following. I’m also currently working on a Turkey Tostado recipe that you will all love! 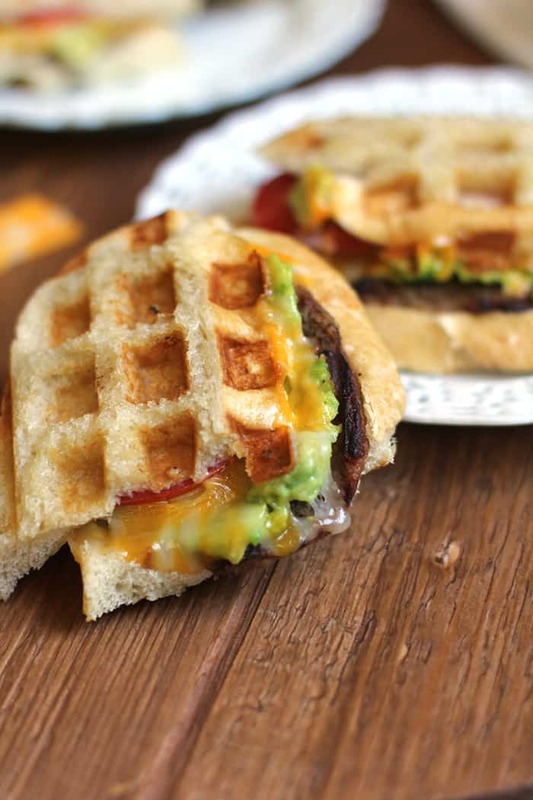 BTW, these patty melts are really easy to assemble. Grill the turkey burgers. Slice them in half (to make two patties for each burger). Slice the bread, mash the avocado, slice the tomatoes. Butter one side of the bread (the side that will touch the waffle maker). Assemble the patty melts. 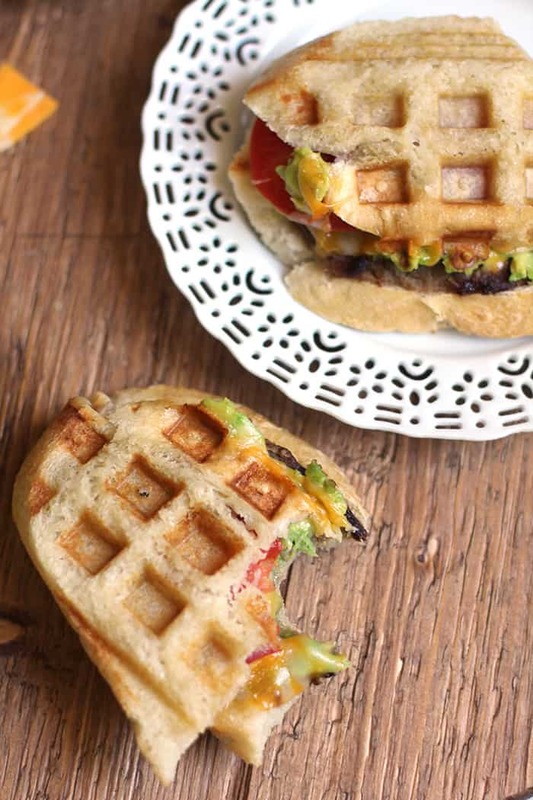 Layer the bread, burger, avocado, cheese, tomato, and bread. Place in pre-heated waffle maker. Grill until nice and brown. 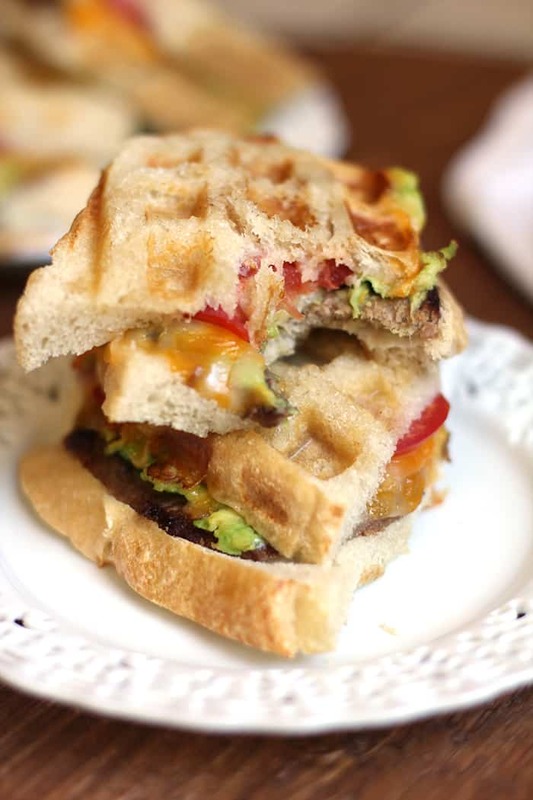 Please let me know if you try these Turkey Burger Patty Melts, and how you like them (or not)! You can stay up-to-date with SueBee Homemaker by signing up for post updates (top right-hand corner of my blog) or liking my Facebook Page. I’m also sharing tidbits of my life on Instagram. ???? Light outdoor grill to medium temperature. Grill frozen turkey burgers until done, approximately 7-8 minutes per side. Remove from grill. Slice in half to make two thin patties. Heat up waffle maker. Spread butter on one side of bread slices. Lay butter side down, and layer the turkey burgers, avocado, cheese, and tomato. Top with other slice of bread, butter side up. 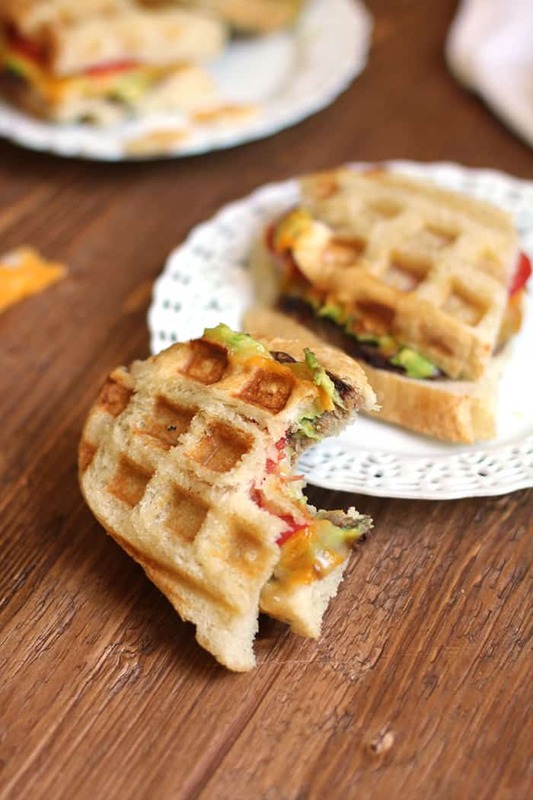 Place sandwiches in waffle maker, and grill until brown on all sides. What a treat! I like to keep it simple and healthy…….this recipe gets a 💯 for both!